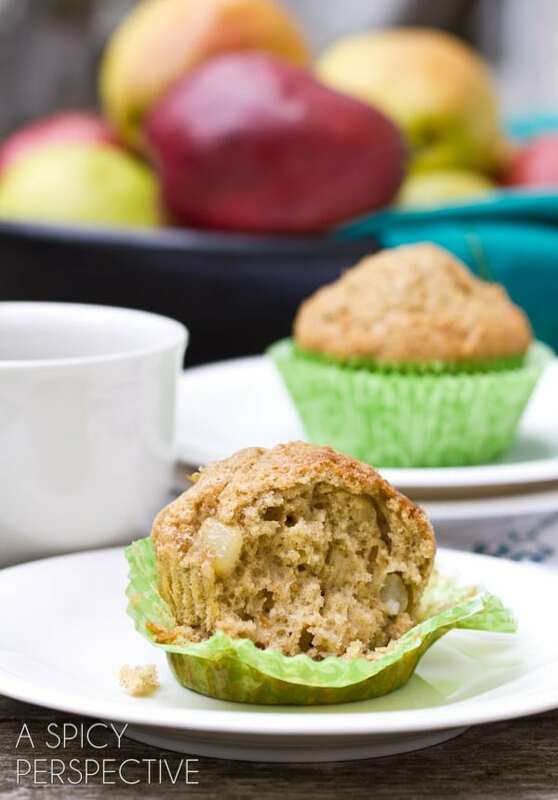 Applesauce muffins with fresh pear dabbled about make great afternoon snacks and quick grab-and-go breakfasts. Rustic home-style muffins tend to conjure up certain feelings or memories. For me, Applesauce Muffins remind me of my mom. Always watchful of what we ate, in the 80’s she whole-heartedly took on the trend of “applesauce baking” subbing applesauce for most, or all, of the butter in baked goods like cookies, cakes, quick breads and muffins. Some of these recipe were wildly successful. Others… not so much. But if you ask me, simple homey muffins made with applesauce are the-best-of-the-best when it comes to applesauce baking. Instead of using the applesauce as a minor building-block ingredient, I like to showcase it as the prominent flavor. 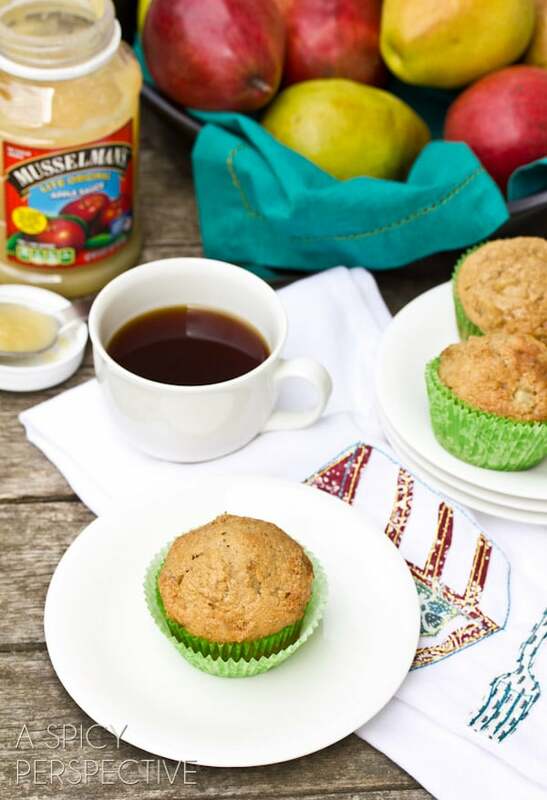 In this Applesauce Muffins recipe, I added a hefty amount of Musselman’s Applesauce, a touch of Chinese Five Spice Powder to enhance the fresh apple flavor, and small chunks of ripe pear to provide a silky quality to the muffins. 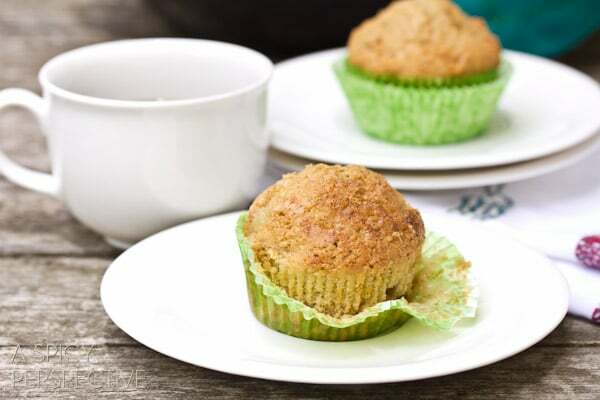 These zippy pear and Applesauce Muffins are so quick to whip up. I like to surprise my kids with them when they come home from school, or pack them as snacks for our weekend hikes. 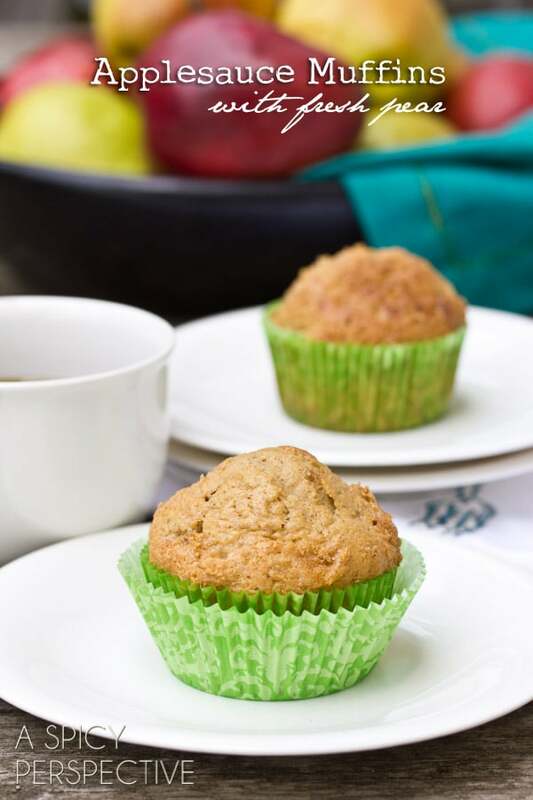 The hearty apple goodness, chunks of fresh fruit, and little nip of spice make these Applesauce Muffins completely irresistible. 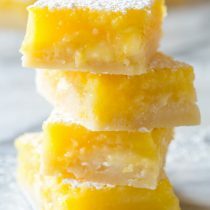 Using an electric mixer, beat the butter and sugar together until the butter is thoroughly mixed in, then add the apple sauce, eggs and vanilla. Mix until smooth. Add the salt, baking powder and five spice, then slowly add in the flour until just combined. Dice the pear into small 1/4 inch chunks and fold into the mixture. Then scoop the batter evenly into the prepared muffin tins. Sprinkle the top of each muffin with a little brown sugar and baking for 14-20 minutes until the tops are dome-shaped and a toothpick inserted into the center comes out clean. Cool for 3-5 minutes before removing from the muffin tin. These look so yummy and they are a great way to use up that apple sauce I still have. I totally need these in my life Sommer. Yum! 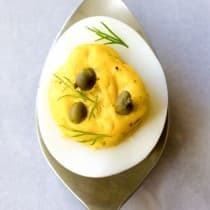 These are the perfect on the go breakfast! Ooooh five spice in a muffin? Nice. Can’t wait to try it. 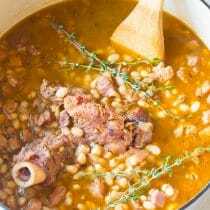 Will definately bring this for a snack on our next picnic or hike – while the weather the still moderate here in southern AZ. Love the pictures too :) Muffins and coffee definately are a perfect match! Yum! I made these for a morning treat :) loving this recipe! I love these muffins, Sommer! And They sound so healthy too! i could sure use one of these this morning! Ooo, Chinese five spice powder sounds really good here with the applesauce! I love pears and I bet with the applesauce these are so soft & moist! Yeah, I remember my mom making some not-so-tasty baked goods with applesauce, but this recipe definitely looks like a winner! I have some of those “interesting” memories too. Sometimes applesause just doesn’t work. Muffins with applesauce really are wonderful! Yum! The large chunks probably make this a very moist muffin. Looks wonderful! These are what mornings were made for! Delish! Love these spices with pears. LOVE the addition of five spice here, Sommer. So creative! Smile. Applesauce reminds me of my mama too. These look delicious. And I wish I had one beside me now. I can’t wait to try the recipe. Thank you for sharing! Looks like the perf grab and go breakfast! I don’t think I’ve ever had an apple sauce muffin before! Obviously, I need to change this! These look so wonderful – I am a fan of pears and know I’d be excited about having these muffins for breakfast!!! Love these flavors, perfect breakfast! These look so good, Sommer! I really love these Sommer! I bet they smell delicious! I’ve never thought to make these, but what a great idea! These look beautiful! I love using applesauce in baked goods. I don’t use pears much in baked goods, but they work really well with them. What a great idea! Pears are such a refreshing fruit, often forgotten. 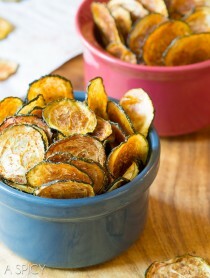 Love their texture and that crisp, cool crrrunch! Delish! We love applesauce muffins and the pear addition fab. I always like to replace all or most of the butter with applesauce in my muffin recipes. It adds a nice touch of sweetness. CHUNKY is awesome! Especially pears…. 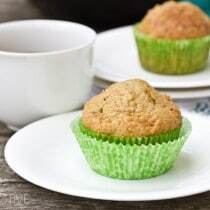 Applesauce muffins remind me of my mom too – can’t beat the sweet memories of weekend mornings with fresh muffins on the table! I love the touch of 5-spice in these muffins Sommer! 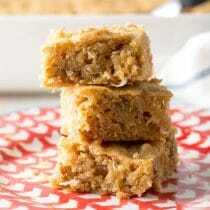 I like using applesauce in place of eggs and fat in some baked goods to make them healthier. Lovely. I love the use of 5-spice in here. 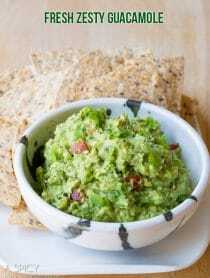 What a great idea to add Chinese 5-Spice in to kick up that apple and pear flavor. I’d happily serve these to my family for breakfast. I love muffins like this- the applesauce really suits them. I will have to try these! I simply adore this fruit combo you have going on! And I love the chunks of fruit in there. It’s always the best! Oh wow!!! My kiddos would LOVE these muffins! 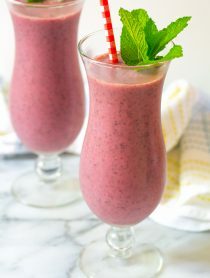 Mmmm, I love those chunks of fruit in there! Applesauce in muffins is LIFE CHANGING. So fluffy! Those muffins look so nice and moist and tender and good! Pear+Applesauce= love, those chunks are calling to me! I love me some good muffins!! These look awesome!! Love applesauce muffins! These look great! Sounds so good right now! Lovely muffins! Muffins are my go-to breakfast for busy mornings and these look so tasty!